I visited Cinque Cucina e Caffé last year and seeing I was in the area, decided to drop in again. 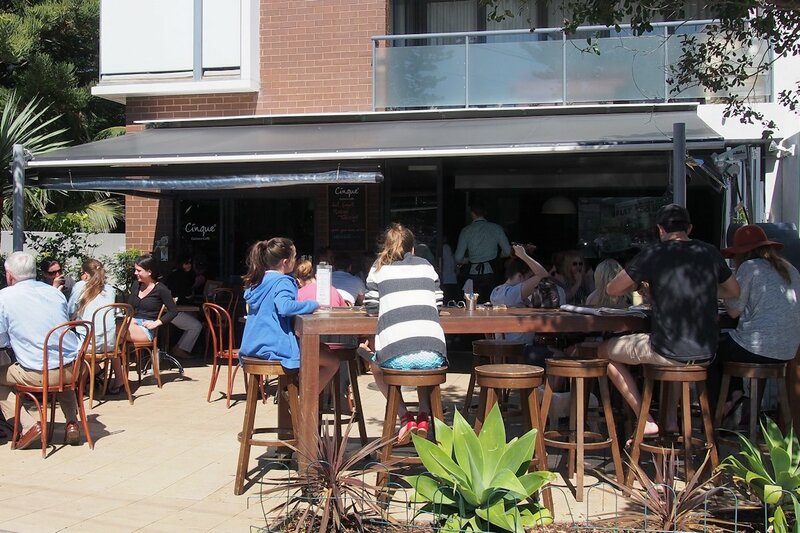 Thanks to its close proximity to Mona Vale beach, Cinque makes for a great stop on your way to or from a day by the seaside. There are limited parking spaces just outside the café and plenty more in the main beach car park. Note that it’s counter service only so if you find that you’re being neglected, there’s a reason for it! 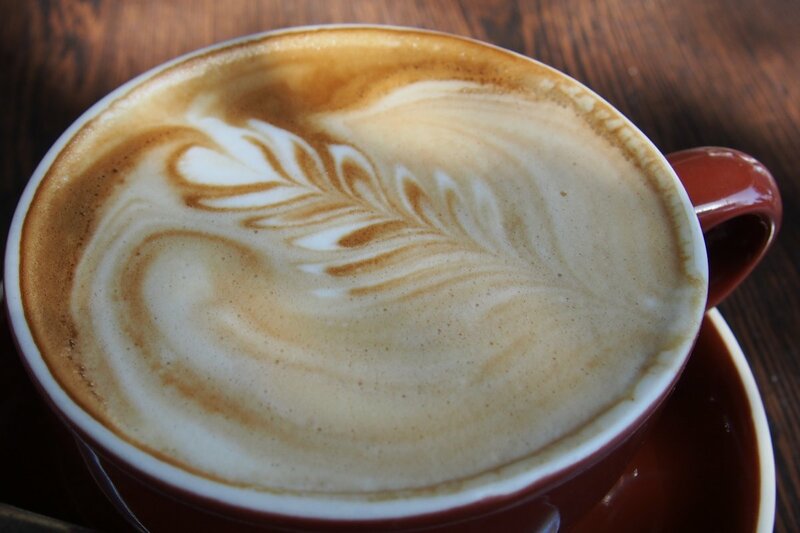 The coffees ($3.50) served at Cinque are normally fantastic and this morning’s example was no exception. Hot chocolate ($3.50), chai latte ($4) and affogato ($8) also available. The frappes ($7) and smoothies ($6.50) are available as mango or mixed berries. 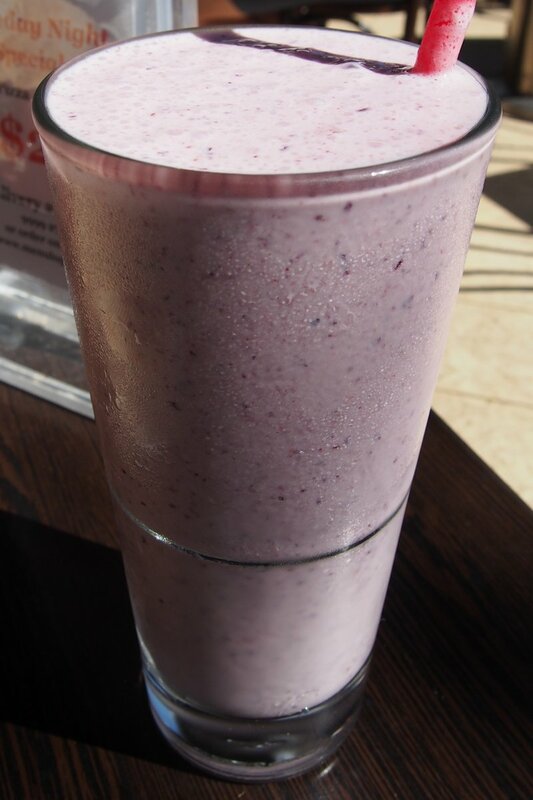 We tried the mixed berry smoothie which had some good flavours but slightly too much yoghurt. Amazingly, this is the opposite thought that I had from my last visit when the smoothie was too milky… almost there guys! The bacon and egg roll ($12) was not only delicious but quite large as well. 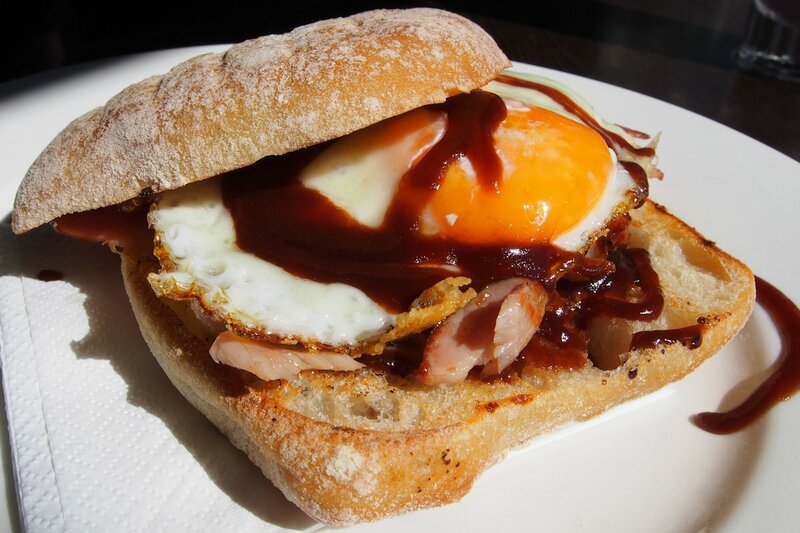 The egg was cooked to just the right consistency and the top of the bun was served with melted provolone cheese! I opted for the Italian scrambled eggs ($15) again which was a slightly smaller serving than last time (both the eggs and the toast). 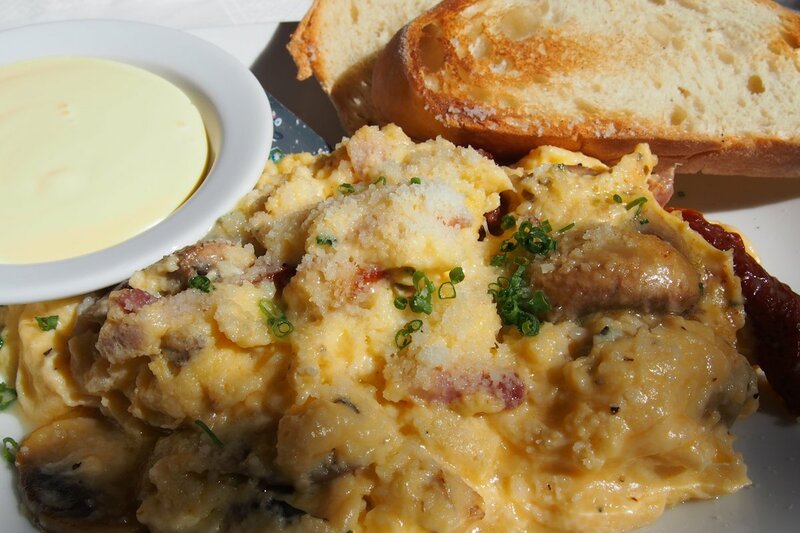 The creamy scrambled eggs have pancetta, sundried tomatoes and mushrooms mixed through and is served with hollandaise sauce on the side. The sauce definitely lacked the lemony hit and once again, isn’t even needed but overall a tasty dish that combines all of the flavours well through the eggs. 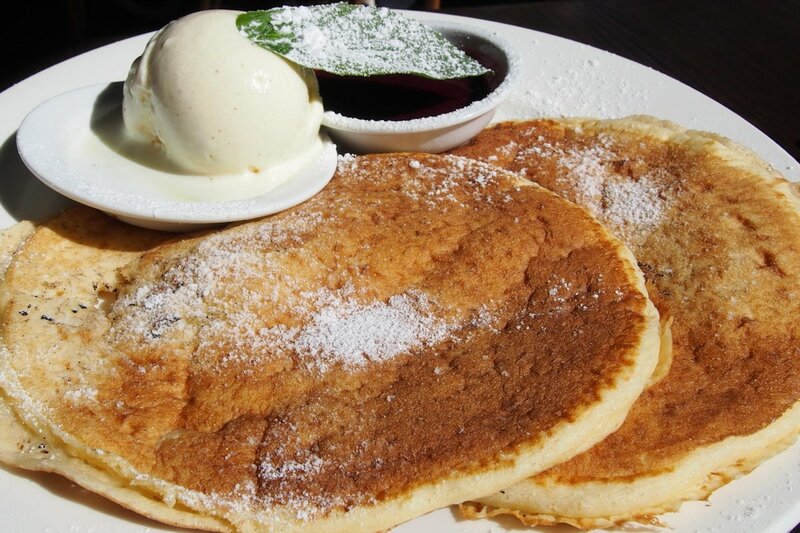 The pancakes ($12) are served with either vanilla gelato and berries or ricotta and honey. My guest opted for the first option and was extremely happy with his choice. I can only agree – the pancakes were fluffy and light while the ice cream was absolutely delicious with them. Other dishes available include smoked salmon bagel (served with sour cream, rocket, chives, capers and cucumber, $12, add a fried egg for $3), mattonella (Italian pastry with smoked ham and provolone cheese, $5.50), omelette (ricotta, zucchini and mint omelette served with sourdough, $12), homemade bircher muesli (with date, apple, coconut and straberries, $8) and yoghurt (sweetened vanilla yoghurt with mixed berry coulis ($6.50). With such a stunning, sun-bathed location, you’ll be glad that you decided to visit Cinque. A recommended spot to relax in a sunny courtyard for a delicious breakfast. This entry was posted in Sydney - North Shore and tagged Disabled access, Dog friendly, Outdoor seating, Parking close by, Reasonable prices, Water glimpses. Bookmark the permalink.